Liverpool John Moores University | Beth Tweddle Gymnastics (formerly Total Gymnastics) Cookies Policy. Liverpool John Moores University is a public research university in the city of Liverpool. We provide classes for ages 2-7 years for our Beth Tweddle Gym Stars programme. It’s a great space that allows us to run our programme in a prime location in Liverpool – easy for parents to get to! 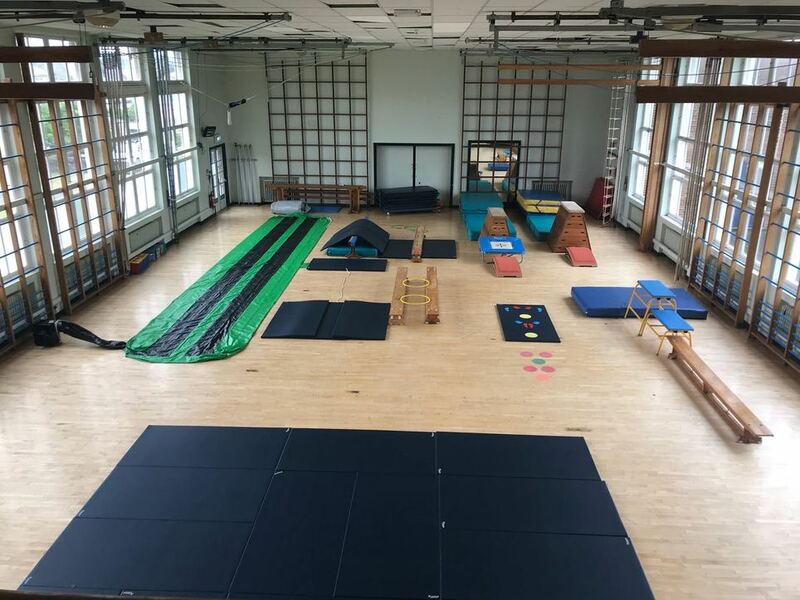 Children with some or no gymnastics experience can join the classes at this venue, and the gymnasts can train from between 1 or 2 hours and have the opportunity to work on vault, benches and floor. To book a space in the LJMU classes, please click on the find a class button at the top of the page and enter your postcode and your child’s age. The classes take place in the Morison Gymnasium. To ensure that the sessions are private for the children taking part, we ask that there are no spectators within the venue. There is also an onsite car park for those driving to us. The LJMU Academy has springboard, trampette’s, vaults and a large number of benches, floor mats and crash mats as well as an air track. Monday and Thursday Gym Stars: The children will be working through our Gym Stars programme using the badges 1-7 for the Twinkle Stars, badges 6 - 14 for Bright Stars and badges 8 - 14 for Shooting Stars. We aim for them to achieve one award per 10-12 week term with one skill being marked as achieved each week in their progress booklets. Monday's 'HUB' Academy: The children will be working through the British Gymnastics Proficiency Awards and the Advanced Proficiency Awards. Gymnasts will begin at badge 8 pending an assessment from their personal coach within the first few weeks. Parents can stay for the first session should they wish to do so, however after the first session we ask that parents do not spectate, as the coaches aim to make the session as engaging and as fun as possible, so we need the full attention of all our young gymnasts! There is a reception area on site where you can wait for you children to finish their gymnastics session if you wish to stay on site. We advise that Gymnasts wear shorts and a t-shirt, leggings/tracksuit bottoms and a t-shirt or a leotard to make sure they’re able to engage in the session with ease. No jewellery is permitted to avoid anyone hurting themselves, and long hair should be tied back. All earrings should be removed, and if this is not possible, then they must be taped up. Make sure you bring a drink to the session too so your child doesn’t get too thirsty! Make sure you bring the progress booklet with you as this is where the coaches will record all progress and mark off what skills have been achieved, so you can keep up to date with your child’s progress. New progress booklets can be purchased at a cost of £3.50 in case they get lost.